Queensland table tennis coach Terry Dahl is in the country to help develop our young players. 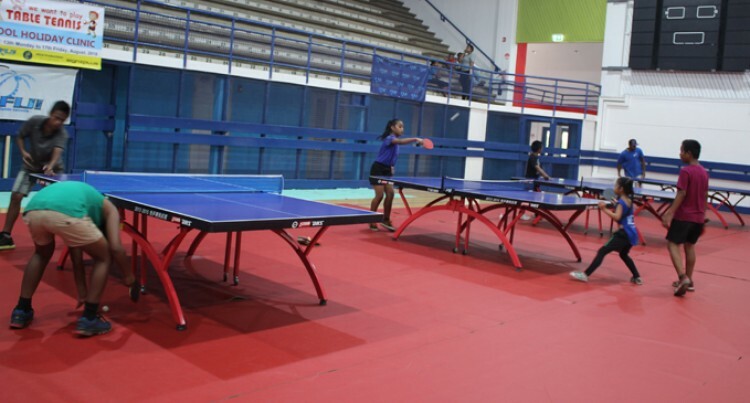 Dahl was part of the clinics organised by the Fiji Table Tennis Federation that was held at the FMF Gymnasium in Suva. Dahl told SUNsports that he was targeting players who are interested in the sport and want to develop their skills. “The Fijian players have played well during the Oceania Games but they need to develop their playing skills and that is why I am here,” he said. Dahl said having tournaments in a way would help develop our young potential players. “Having tournaments will really improve the standard of table tennis in Fiji. FTTF development officer Alisi Naisau said organising the event they are able to identify potential players before selecting them to be part of the national squad. “Table tennis was basically targeted for school students since they are on holidays.. Most of them know how to play the game but they regard it as a leisure activity for them. They will be able to learn the proper technique and hopefully make it to the national squad. “We are trying to recruit more players to join the national squad so this is one of the ways that we are doing it,” she added.